This pic has been up here for a while and no one has yet made a comment... Sooo.. Idk. First? Clever solution to getting through the deep snow in Alaska. 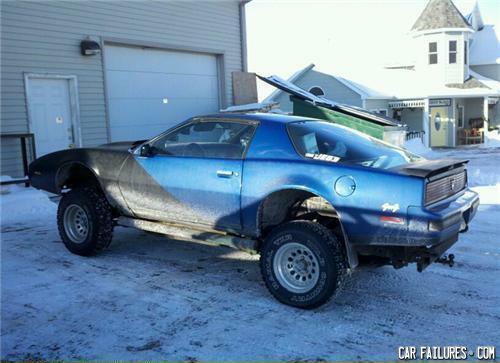 Redneck sportscar at it best.